Three planks later, you have an outstanding feature that looks 100 years old. Makes you want to run for the hammer and nails, doesn’t it? 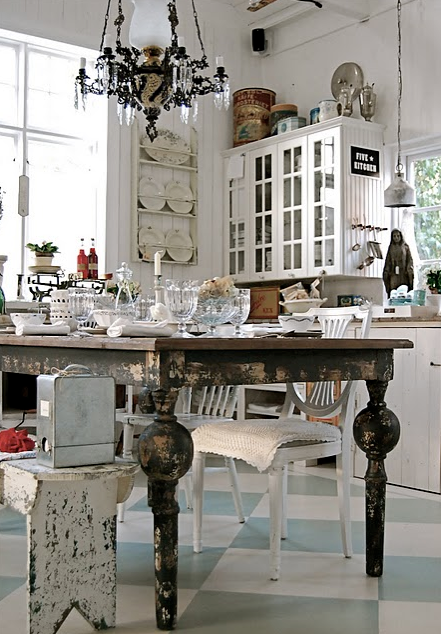 This spectacular table and bench in the middle of a crisp white farm kitchen… LOVE. This chicken feeder light is totally perfect for a farm table desk inspired office. 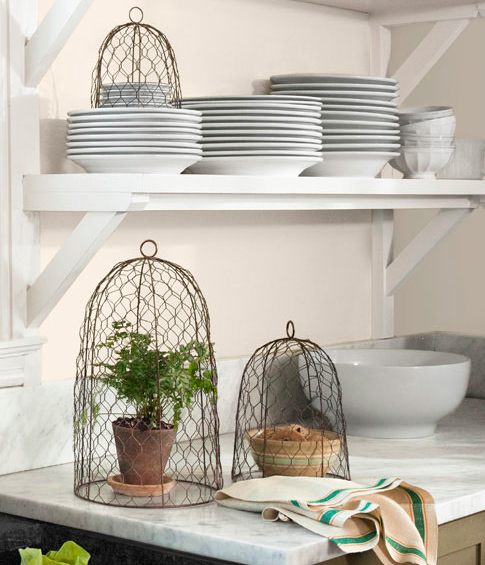 Cloches made from chicken wire wearing a rusty patina add instant warmth, especially to white spaces. What have you done with a barn/farm/western theme? Hi! Thank you so much for hosting this week! 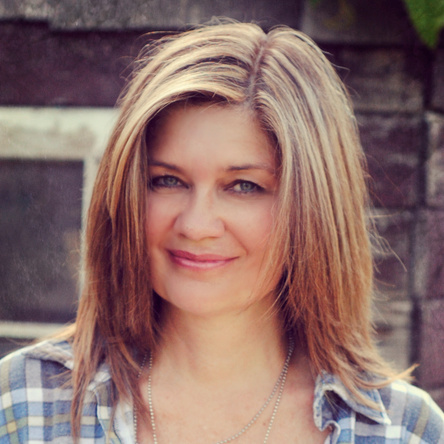 I love your theme tonight – I have a really big soft spot for farm inspired decor! Thanks for hosting Donna. 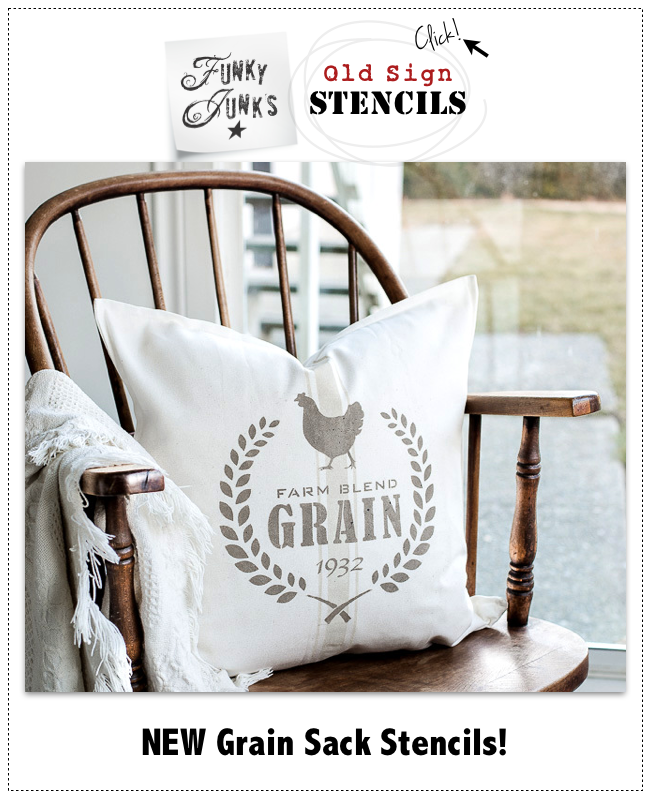 I love farm decor. That kitchen is absolutely stunning. Rustic and elegant. Love the chicken wire cloches!!! Beautiful!! And that barn wood door is amazing! Yes! I am running for my hammer and nails as I type. Thanks for hosting. I always get soooo much input. Also loooove your ideas with stuff. I love anything that is crusty, chippy, peeling paint and just plain old! The older the better! Great post! Thanks so much for hosting, Donna! Who knew chicken wire could be so chic? Love the cloches. 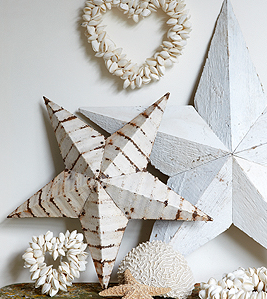 I love the barn stars, I will have to figure out how to do those as well. I have the perfect spot for them. 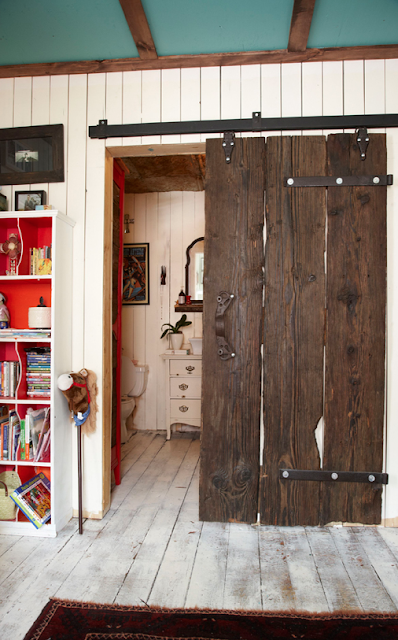 I have always loved barn doors, but I have no where to put them. Rats! Donna, thank you for hosting! Thanks for hosting! 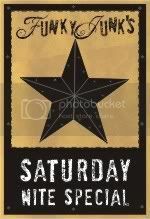 My house is all about farm and western, so this party is just right for me! This is my first time linking to your Saturday Night Special. (barn, farm,western things) Thank you for hosting! Thanks for another great party Donna! 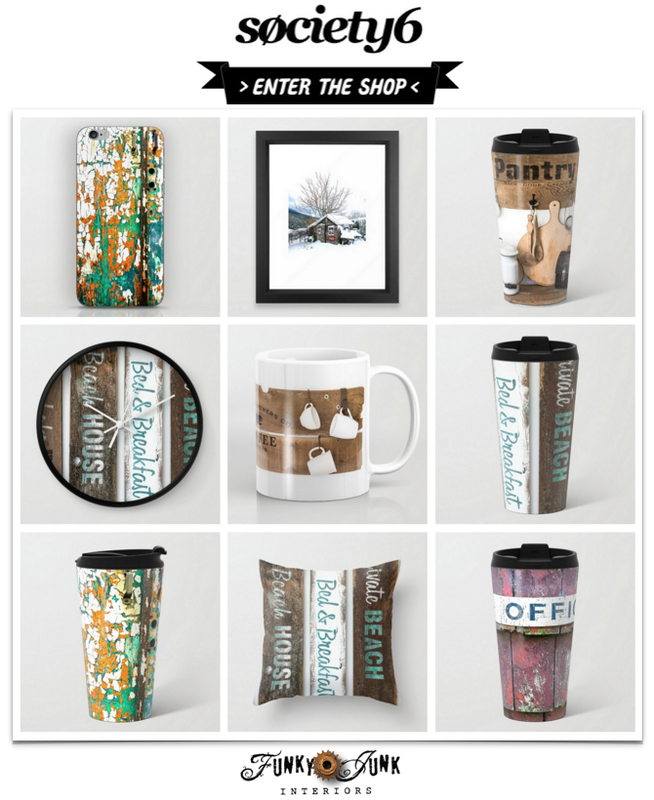 Love the barn doors, great post Donna. Nice DIY’s. Need these for my apartment. Added my china cabinet turned farmhouse pantry to your continuous barn/farm/western link up! Great resource! Do u have a tutorial about the barn door? Hi Doris, Sorry, that was a very old article, but I did manage to find where they had the barn door on their blog. Perhaps you can try searching for a tutorial on their blog?